This event is open to all, and will be held on Tuesday, June 11, 2019 at Phase 2 in Lynchburg. 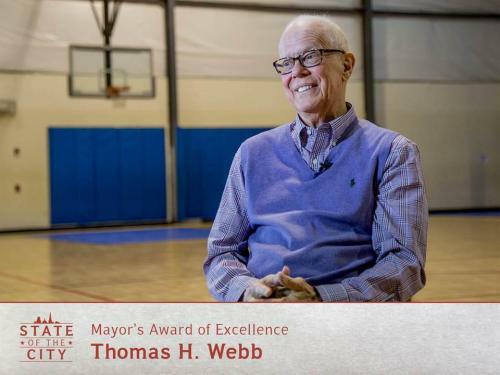 Please join family and friends of the late Tom Webb as they host an event honoring his memory. Tom’s good friend, Johnny Bench,catcher for the Cincinnati Reds and National Baseball Hall of Fame member will be the celebrity guest. Proceeds from the event will benefit the Tom Webb Children’s Fund at Jubilee Family Development Center. Tickets are $75 each. Sponsorship opportunities are available. Please click the Learn More button for more information and for the link to purchase tickets. An interactive, multi-course cooking competition between the best chefs in Central Virginia to determine who will be crowned Lynchburg’s Top Chef! Guests will enjoy tasting size appetizers and entrees covering a variety of different culinary tastes and styles. Top Chef will be held on Saturday, September 7, 2019! A limited number of tickets are available, and are $125 each. All food and alchohol are included with your ticket purchase. 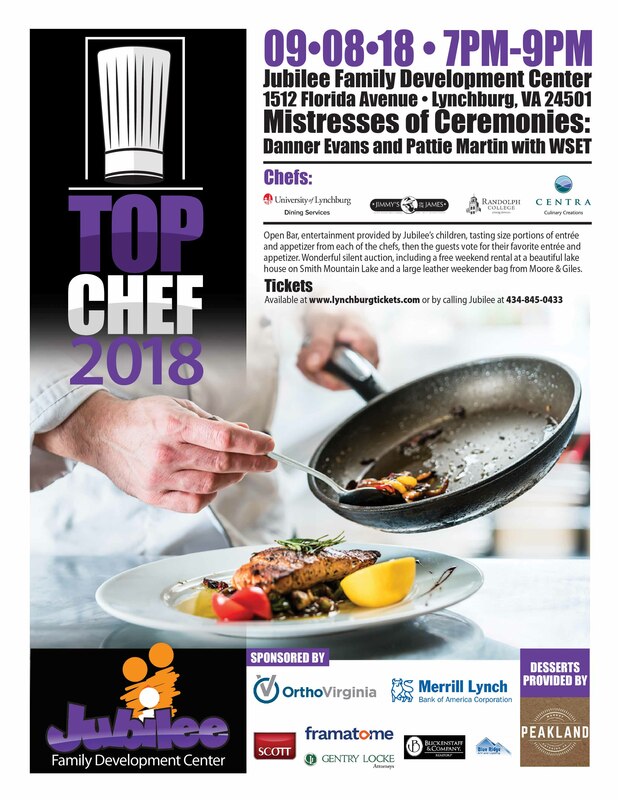 Please contact Jubilee at 434.845.0433 to purchase your tickets, or you can purchase online at http://www.lynchburgtickets.com/topchef. Jubilee’s 6th Annual Gospel Brunch was held at 11:00 AM on Saturday, Feb. 23, 2019 at Jubilee. 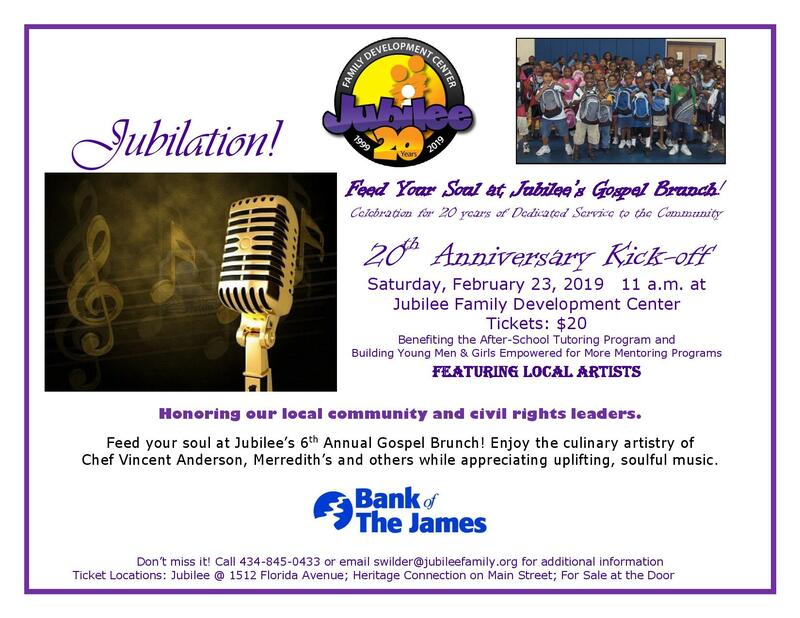 Gospel Bruch will return to Jubilee in 2020! Watch or compete as local businesses square off against each other in an epic Tug of War battle! Competitors can show your mettle, strength and stamina. 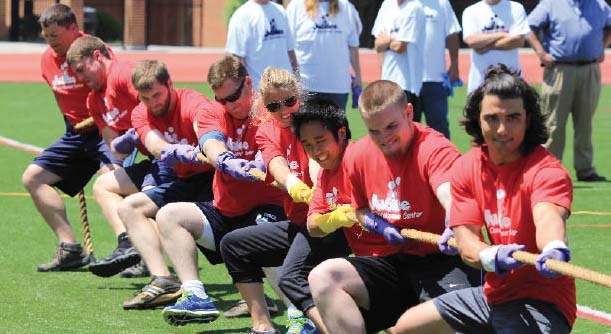 Coworkers will fight to claim victory in Jubilee’s 6th Annual Tug of War competition in May 2020! 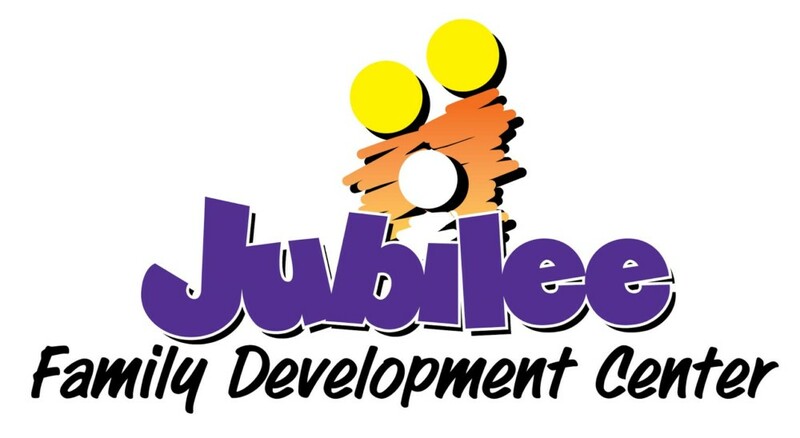 Teams of 8 are only $1,000 each, and all proceeds benefit Jubilee Family Development Center!